Last month, I went to have All You Can Eat dim sum and hot pot with my family at the Chinese restaurant Full Moon in The Hague. We discovered it through a Groupon deal and it was the first time, we went to a Chinese restaurant in The Hague. We didn't save a lot from the Groupon deal, as we went on a quiet Sunday afternoon instead of in the evening, but even without the discount, the price of about €20 per person during lunch time is still really affordable. Immediately, after we were seated, we were asked what we wanted to drink. Drinks are not included in the All You Can Eat arrangement, but they have a wide range of different drinks, such as iced teas, bubble teas, and alcoholic drinks. We are used to drinking Chinese tea with our dim sum, so we got Chinese Chrysanthemum tea. It was about 12 euro for 4 persons, but we got free re-fills by adding hot water in the large tea pot twice. 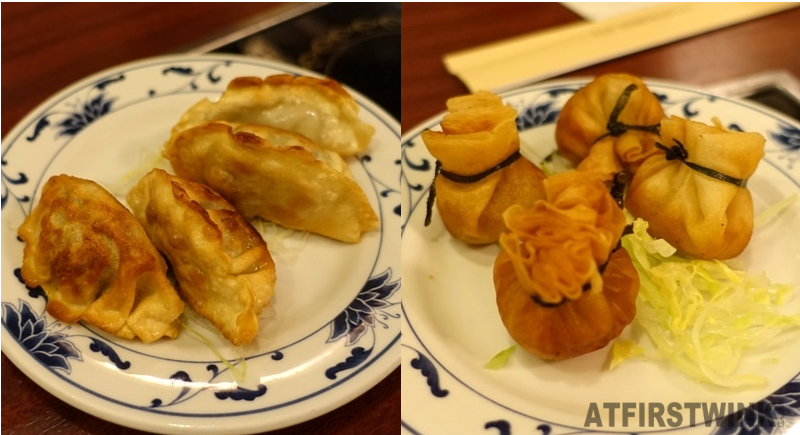 We started with some dim sum: prawn dumplings (my favorite dim sum!) and beef balls. They both tasted really good! The quality is as good as the ones you can normally get at dim sum restaurants. 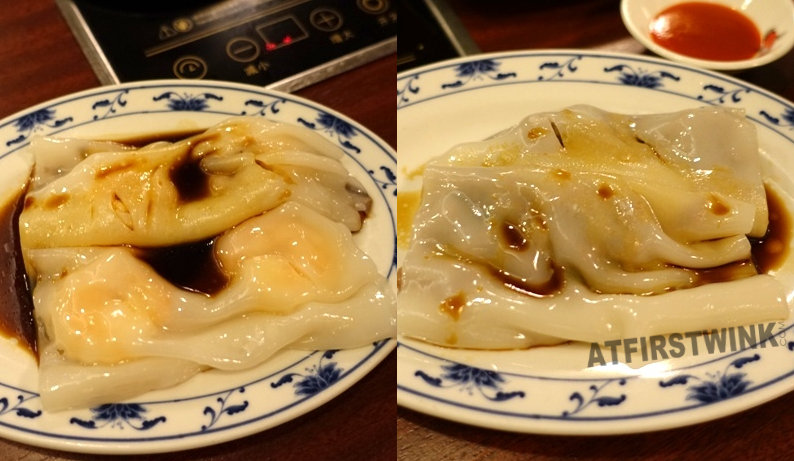 The prawn dumplings had a soft and chewy wrapper and a delicious prawn filling. The beef balls are totally different from the Dutch beef balls, as they have a velvety soft texture and a strong coriander flavor, wrapped with dried bean curd. 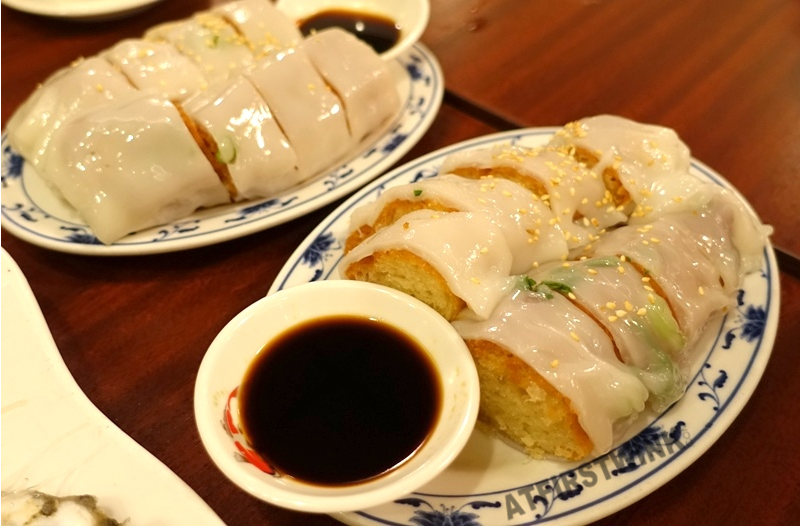 Another dim sum favorite of mine is the Chinese cruller in rice noodle roll. I normally love this dish with airy and crunchy cruller, wrapped with a soft and sticky rice noodle roll, but the cruller was not made very well. The inside was very dense and bread like instead of airy and light. However, the rice noodle roll was excellent. It gave me the confidence to order some other rice noodle roll dishes in the next round. We got the prawn rice noodle roll and beef rice noodle roll. The rice noodle rolls had a soft and chewy texture, the prawns were large and juicy, and the beef filling was the same as the beef balls. Other rice noodle roll varieties are: chicken and cha siu. It is highly recommended! Fried chicken gyoza (left): the wrapper was a bit too thick and fried too hard, but the chicken filling was okay. 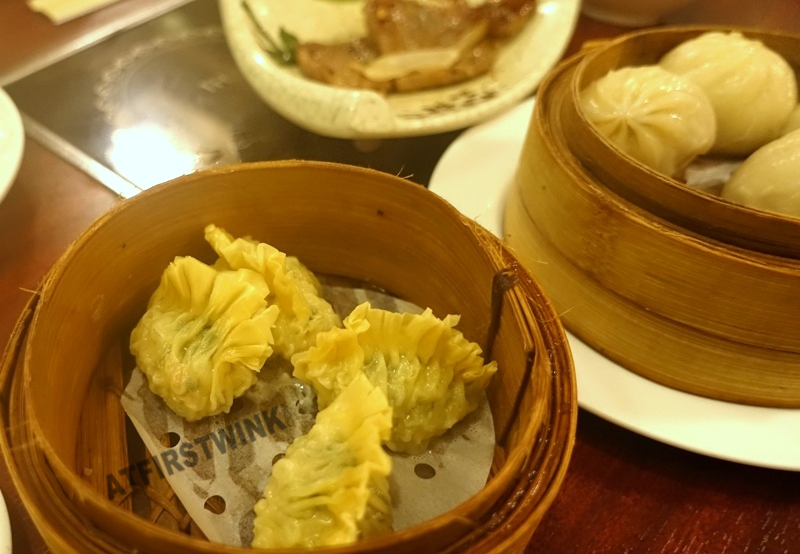 Golden dumplings (right): the wrapper is like the ones from spring rolls, but it was wrapped so thickly at the top that it didn't taste light and crunchy. The filling was something with soft Chinese cabbage and it didn't taste that good. The siu kau soup was nice, as the three, small siu kau dumplings inside were soft and full of flavor. The baby squid in sacha sauce were tasty, as the baby squids had a crunchy texture and the sacha sauce was strong with a hint of spiciness from the chili peppers. Be careful for the boiling hot sauce that explodes in your mouth, when you bite into the head parts. 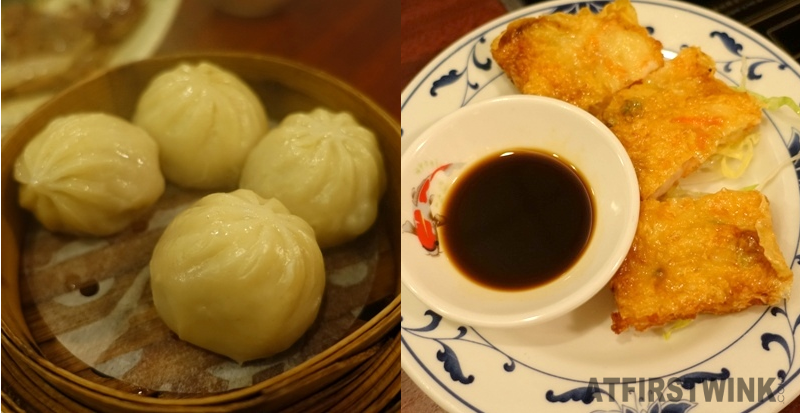 Shanghai dumplings (left): I have to say that I have never eaten a good Shanghai dumpling before in the Netherlands and this didn't change that. The wrapper was very thick and the beef ball inside with some soup didn't taste really good. Prawns soybean roll (right): the prawns soybean roll is also one of my favorites when it comes to dim sum and this was a bit of a let down. The crust was not crunchy enough and the filling tasted okay, but it was so thin or fried too long that it was too dry. The dipping sauce was also a bit strange. The Coriander dumplings filled with shrimp and pork were very tasty and together with the prawn dumplings, the top 2 dim sums on the menu. The coriander flavor isn't very strong, if that bothers you. After eating all that dim sum, it was time for some mains. The black pepper veal rib was really well made. The meat was tender, the black pepper sauce was not too spicy, and it was perfectly seasoned. In the picture, it was the amount of two portions. 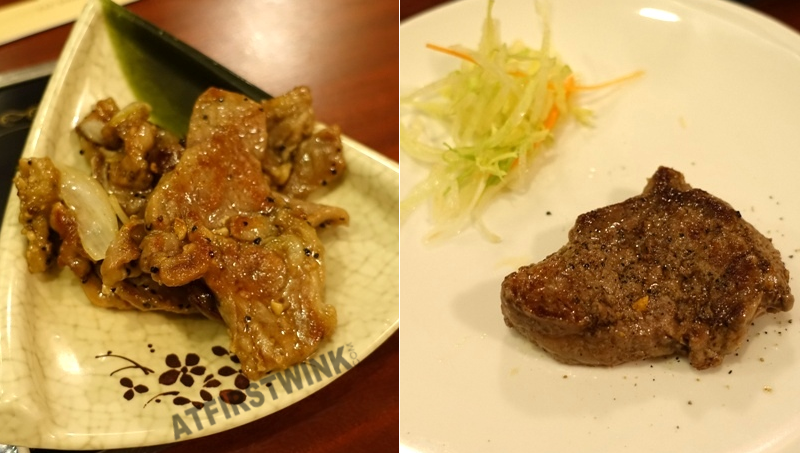 The black Angus steak was as big as half of the palm of my hand, but it did have a strong and distinguishable beef flavor, seasoned with only a bit of black pepper. Sadly, it was over-cooked and not very tender. We also ordered one piece of black pepper lamb rack (not pictured) and the person who ate it, said it was tender and tasty. We also had a small plate of roast duck (not pictured). In the picture on the menu, it looks like you get a large duck leg, but what we got, seemed like bits and pieces of roast duck with not a lot of meat that they somehow pieced together. Maybe, it was because we went on a bad day (they might have specific days on which they roast Hong Kong BBQ meat). It tasted a bit like roasted duck that they heated up from out of the refrigerator. Next, we tried the steamed oysters. The black bean flavored ones are on the left and the garlic flavored ones are on the right. 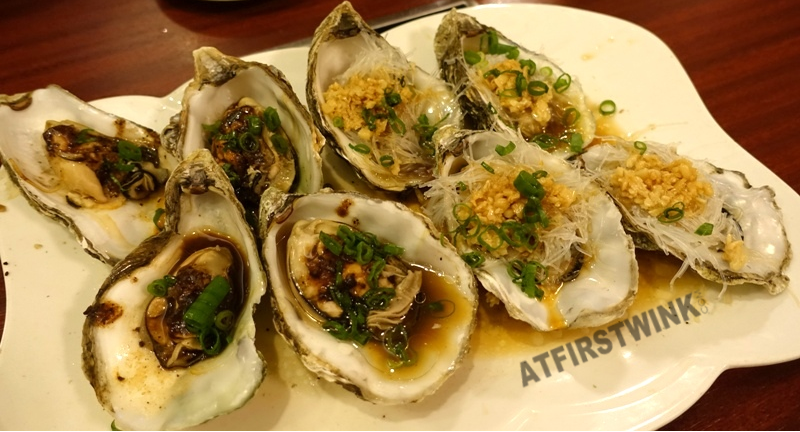 I liked the garlic flavored ones the most, because I like garlic and it was able to cover the fishy flavor of the oysters the best. 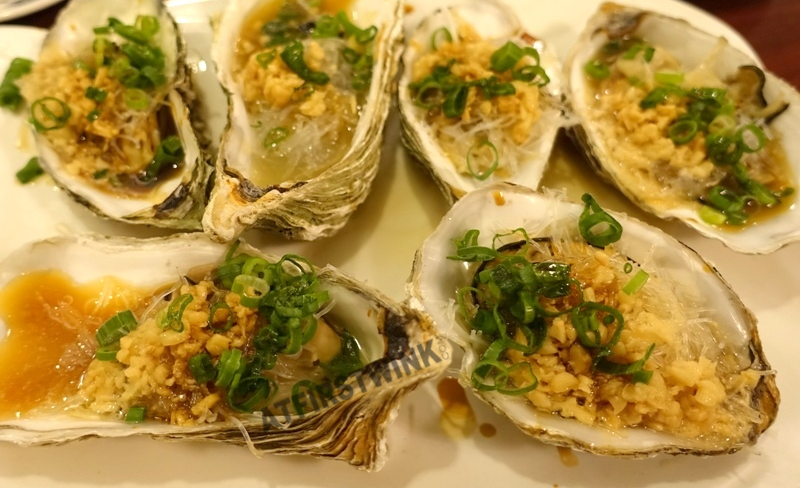 My mom really likes oysters, so we ordered another plate of the steamed oyster with garlic. The Honey pepper fish filet (left): the honey pepper sauce was new to me, as I never tried it before, and the sweet and slightly spicy sauce was interesting. The sugared walnuts were crunchy and delicious (the highlight of the dish!). 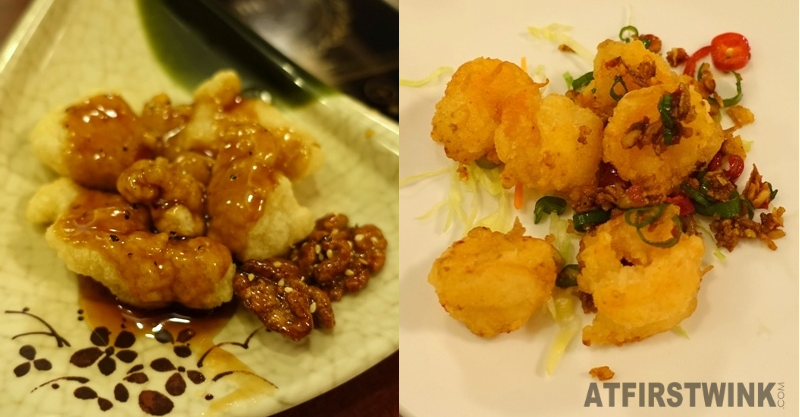 The Pepper & salt prawns (right): I only ate a piece without the toppings and it was a bit bland. 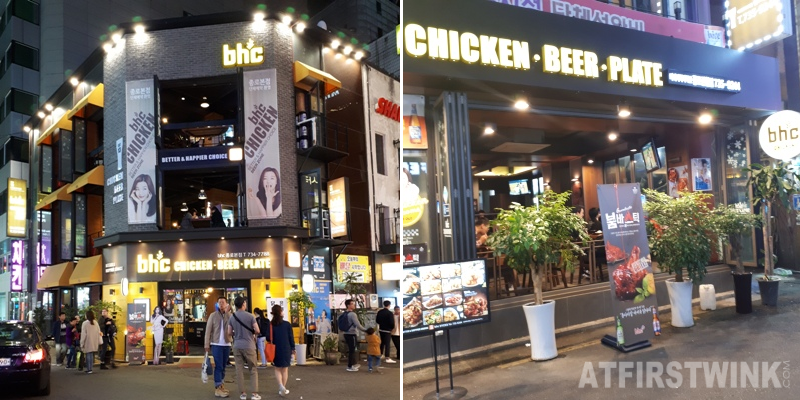 It had the same problem as the honey pepper fish filet, as the fried bits of fish meat and prawns tasted like fried food that was made before and kept warm. It lacked crunchiness and the texture of the meat inside was a bit soft. 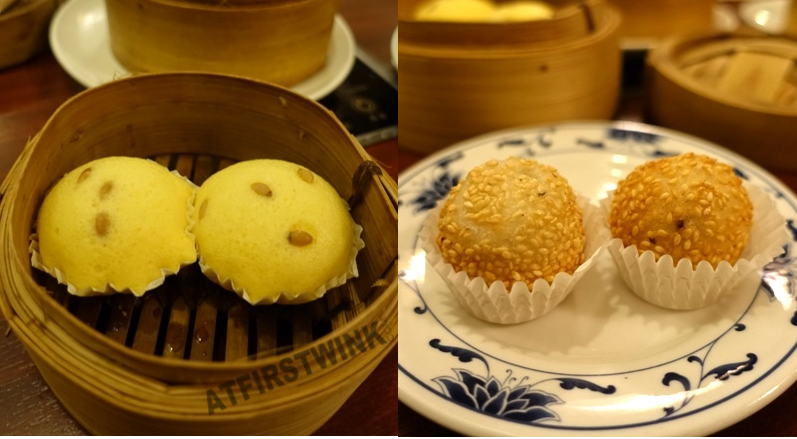 My mom makes the best steamed, Hong Kong Malay cakes and Fried sesame balls and she wanted to know how the competition is doing, so we ordered the mini cupcakes with pine nuts and the mini sesame balls. 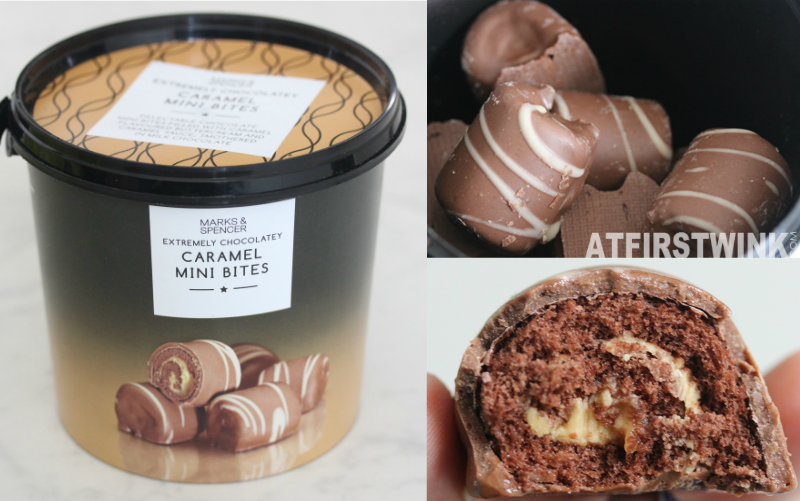 The mini cupcakes had the texture of an airy, fine cake and a subtle, not too sweet vanilla flavor. Not too bad! The fried sesame balls were a bit soft and not crunchy enough and there wasn't enough red bean filling inside, but still nice! We skipped the hot pot, as we were too full, but we might come back for that in the winter! 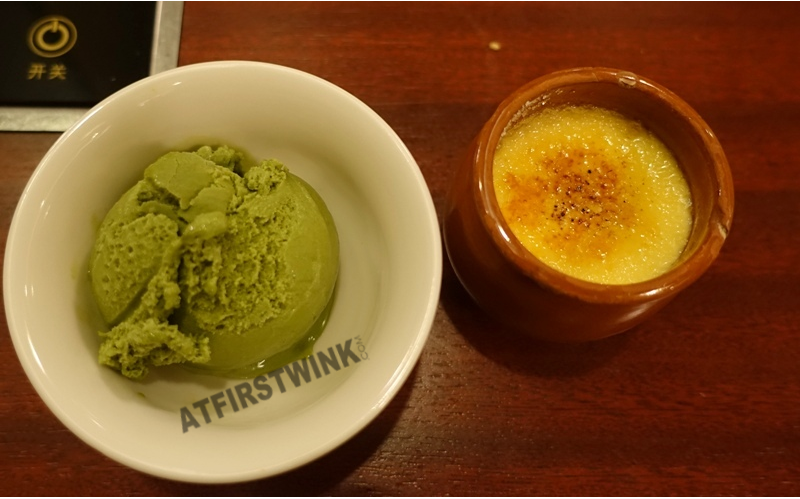 As dessert, we got a giant scoop of green tea ice cream with packed full of green tea flavor. Just how I like it! We also got a cute jar with crème brûlée (soft custard pudding with a hard and crunchy, caramelized sugar layer on top). I was really impressed by the desserts. It was a great way to end a good meal! 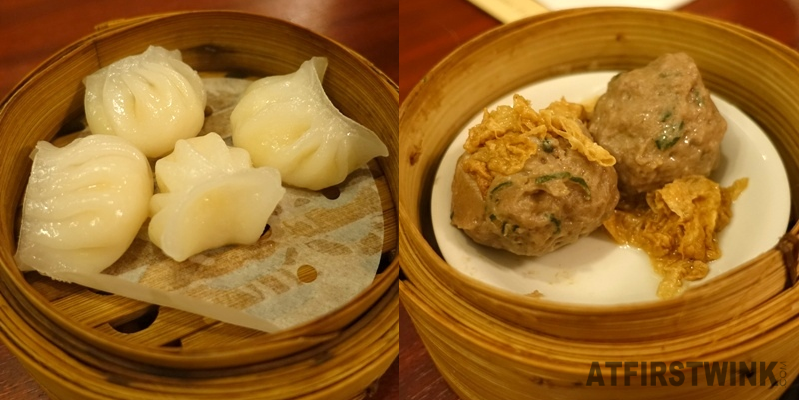 Read about my dim sum lunch at the regular dim sum restaurant, Full Moon city.